What is Fluorite? Fluorite is one of the most fascinating minerals. Fluorite is not a rock but a substance occurring in nature that has a solid and inorganic structure. 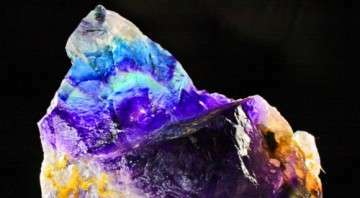 Most of us don’t notice that this material has many essential industrial claims and its one of the most dazzling mineral according to collectors. Those who know about Fluorite, consider it as a decorative gemstone that has to be worn with care. However there’s a lot more to it than people know. Fluorite can be in any of the colors on the color spectrum and it was coined and discovered by Georgius Agricola. Fluorite dates back at least to the 1500s. When we hear the word “Rugs”, our minds usually imagine arabesque and floral patterns and sink into more traditional designs. However, decorating your homes with more modern and contemporary designs can create a great feel. It might be a little risky but it doesn’t need to be. Mozaico will help you transform your home decor into a modern furnishing. 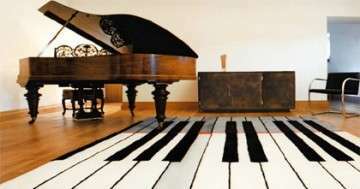 Here is a list of contemporary rugs that will definitely inspire your home décor and improvement. 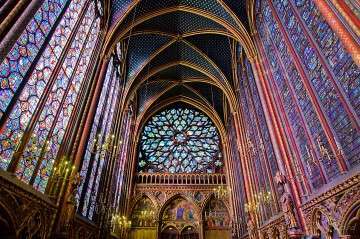 Throughout history, the art of stained glass has been restricted to ornamenting churches and momentous architectural designs. Stained glass usually refers to colorful material itself or to artworks made with it. Similar to mosaic art, stained glass designs can raise and fall. Stained glass ornaments can decorate your home with colorful abstract lights, floral patterns or landscapes. Figurative and splendid medieval stained glass windows can be witnessed in a church or a parliament building to narrate and commemorate tenses from the Bible, literature or history. You can even find stained glass within college halls. Stained glass art is still present for modern glass artists and their creations including third dimensional structures and sculptures. Did you know glow in the dark tiles existed? These mosaic tiles will definitely add more excitement to your night. 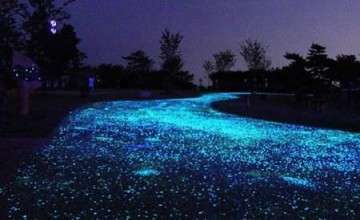 These luminescent tiles absorb the daytime light to make it shine and glow in the darkness. 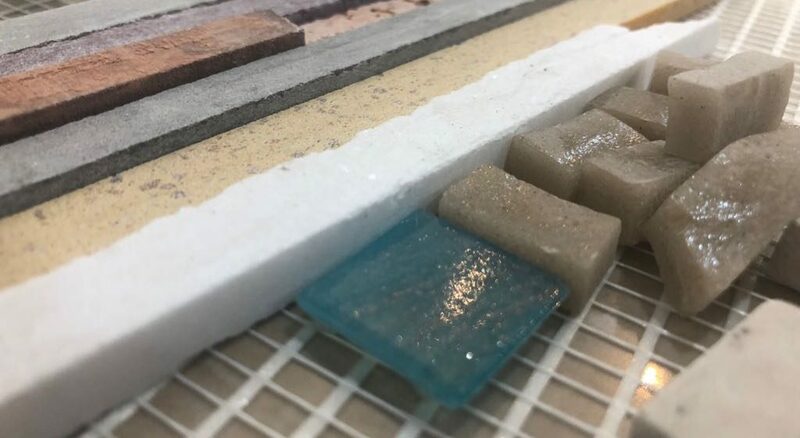 You can use enthuse your night swim with glow in the dark tiles installed in your pools , walls and now bathroom and kitchen backsplash! 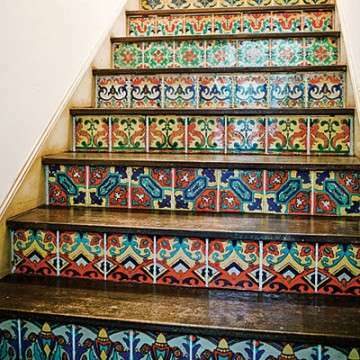 ‪Mosaics can ‪decorate any space you wish to enlighten with exquisite and artistic beauty! Going back through history, mosaic art was used to reflect scenes and to celebrate and commemorate gods, domestic themes and geometrical patterns. Mosaic art survived the Roman and Byzantine times and the Modern age, and is still present today. 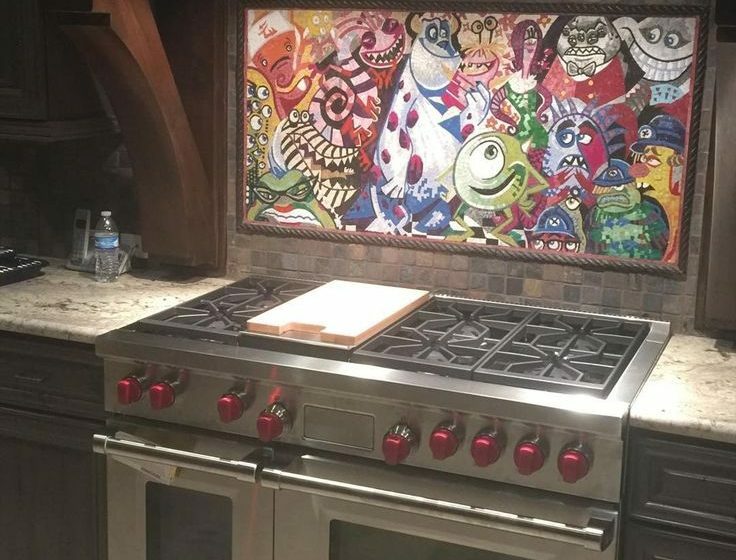 This art became affordable and available to ornament our kitchens, bedrooms, bathrooms and now staircases. Mozaico thought of inspiring those who are interested in interior mosaic designs, giving you a glimpse of muse and insight for your future home décor renovation or home improvement. 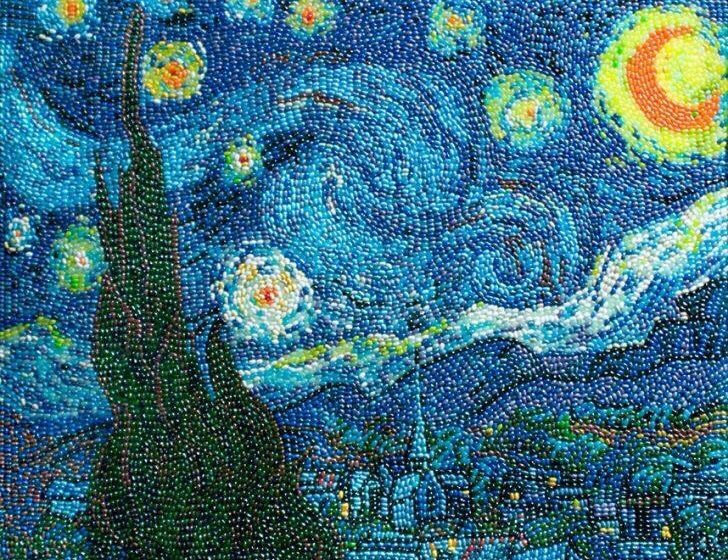 Creative mosaic artists made the traditional art of mosaic a futuristic fantasy, where dreams meet up with unusual and unpredictable art mediums. 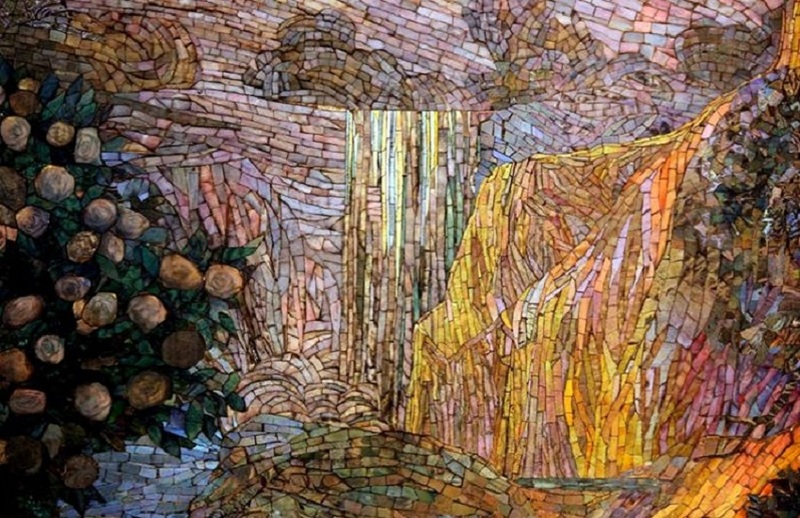 These artists created noteworthy artworks making mosaic art a marvelous wonder. Looking at their artworks, you cannot miss the wave of creativity and modernity. 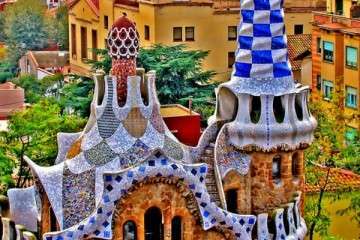 Mozaico could not skip the legendary Gaudi who made the reinvention and expansion of mosaic art possible through his musing large scale mosaic murals and architecture.